A completed PhD investigating the geography of live music in Sydney and Melbourne between the 1980s and 2000s. 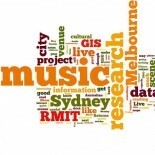 This blog presents some information on a PhD to investigate live music in Sydney and Melbourne. The PhD was completed in February 2017, but content will be uploaded after this. 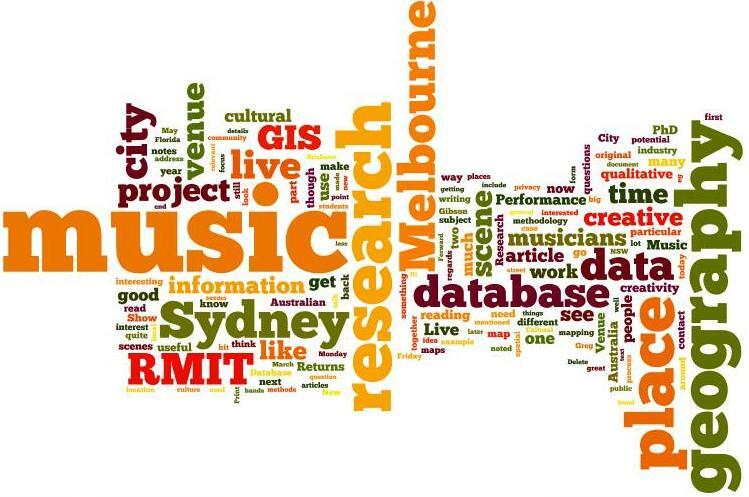 The research focused on the contrast between live music in Sydney and Melbourne since the 1980s, using maps as a central research tool to answer why the live music opportunities in these two cities appear to differ and to have changed. I am the student researcher, Sarah Taylor, a PhD candidate in the School of Maths and Geospatial Sciences, RMIT University, Melbourne. A large part of the PhD research has involved building an historical spatial database of gig listings, from which maps of live music at different points in time have been produced. Looking at live music in such a way helps to give a “forest through the trees” perspective. The maps have also featured in interviews with musicians, conducted in 2014. Interviews with musicians, and their impressive mental maps of memories, have helped different interpretations and stories to be integrated into the analysis.